This olive wood risotto spoon is specially designed for making risotto. Stir the rice and some passes through the hole thus making a smoother and more flowing action. 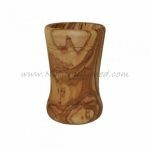 Patterned by the natural grain of olive wood it is absolutely stunning. 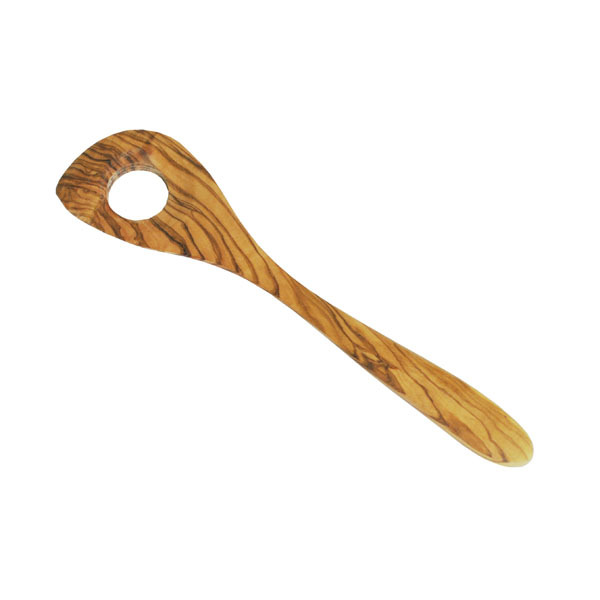 Olive wood has a high natural oil content so is perfect for use as a cooking utensil – it is heat resistant, won't stain or disintegrate with cooking and won't damage a non-stick pan. The length is approx 12″. These spoons are handcrafted from a single piece of olive wood and therefore each one is unique.